April 18, 2018 /3BL Media/ - “Unless we go to Circular it's game over for the planet; it's game over for society”. 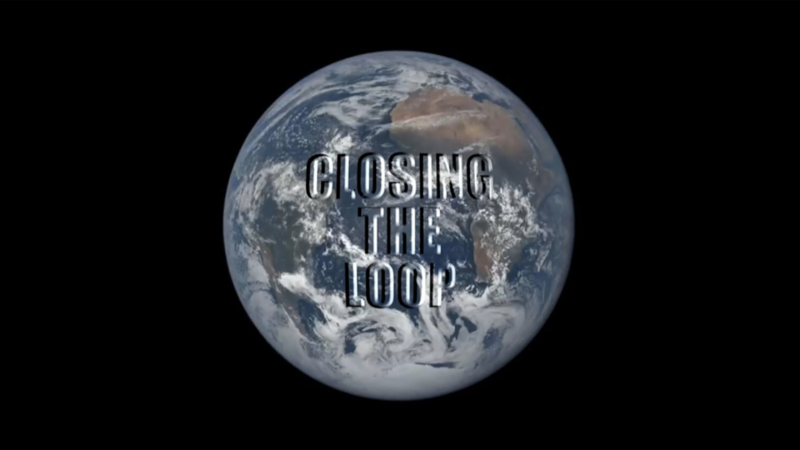 These are the opening words of the world’s first feature-length documentary film on the circular economy, called Closing the Loop, due for public release on Amazon Video on Earth Day, 22 April 2018. Going “circular” refers to the necessary change from our current take-make-waste linear economy to a borrow-use-return circular economy (sometimes also referred to as the zero-waste or cradle-to-cradle economy). The film is directed by a two-time Telly® Award and Emmy® Award winning filmmaker Graham Sheldon and presented by global sustainability expert, Prof. Dr Wayne Visser. And despite its dire warnings – John Elkington, famous for coining the “triple bottom line” of sustainability says in the film: “if we continue with the linear economy, we are, to use a technical term, totally screwed” – it is an optimistic film about innovative solutions. More information about the film and upcoming screening events can be found at: www.closingtheloopfilm.com. Screenings are already being planned for Belgium, Cambodia, Croatia, Denmark, Ecuador, Germany, Indonesia, Laos, Lithuania, Malaysia, Mexico, Nepal, Northern Ireland, Singapore, South Africa, Sri Lanka, Switzerland, Thailand, The Azores, UAE, UK and USA, with more to follow. Can be obtained by contacting Dr Wayne Visser via the website. A two-time Telly® Award and Emmy® Award winner, Graham Sheldon resides in Southern California USA, where he works as a producer, DP and writer in the television and videogame industries. Throughout his career, Sheldon has produced dozens of documentary projects in Turkey, Croatia, Ukraine, Peru, Cuba, and across the continental United States -- including Alaska and the Hawaiian Islands. Some highlights of Graham's work include Sinking Nation, Echoes from Chernobyl, Cuba: An Island Apart, The Agency: Inside the CIA, and his Emmy award winning expose on migration: Crossing Borders. He attended Indiana University and double majored in Telecommunications and Theatre.